At first glance, some people might mistake the LG Fusic for an iPod or other MP3 Player. The large music player controls on the front scream to be used. 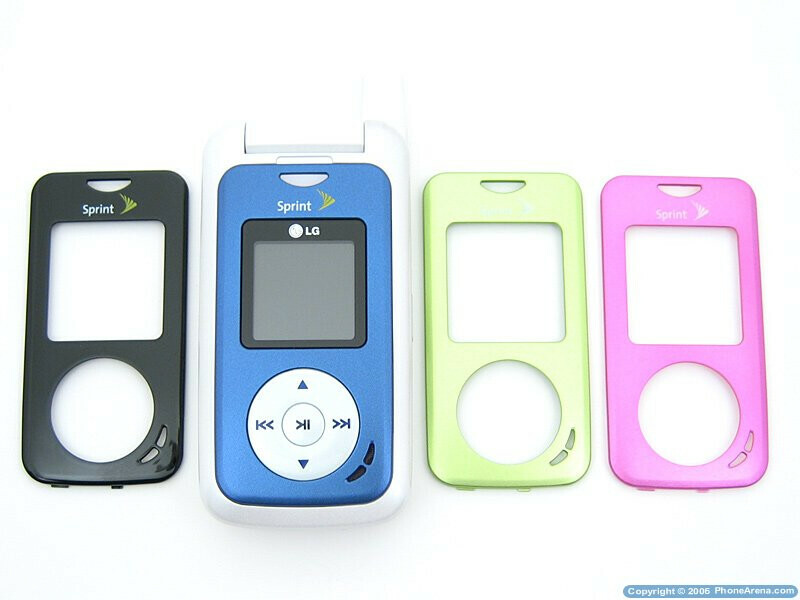 Then you begin to notice that it is not just an MP3 player, but cell phone as well. 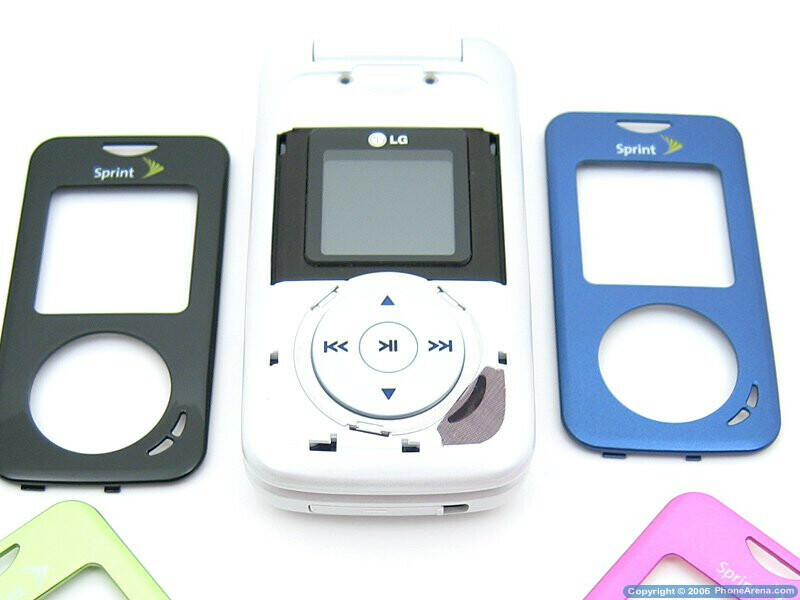 The LG Fusic LX550 is the first Sprint camera phone with an iPod inspired MP3 player built in. The Fusic's retail package includes the Fusic LX550 phone, standard 1000mAh Lithium-Ion battery, wall charger, 64MB MicroSD memory card, handsfree stereo earbuds with mic, four interchangeable faceplates (blue, black, green, pink), USB cable, and user manual. I cut the different templates in half and mix-n-match before, but this phone tend to drop calls a lot for me, so I stopped using it. The design is fine, felt a little cheap, but looked pretty nice.